It isn´t just humans that are getting their bodies in shape ahead of the summer season. 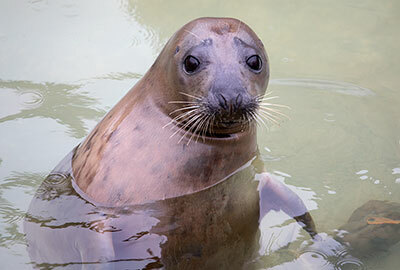 Two year old seal pup Jinx will be doing her first ever training session with Natalie in an effort to shed some pounds. Jinx was rescued on the 21st April 2017 from Godrevy, Cornwall. 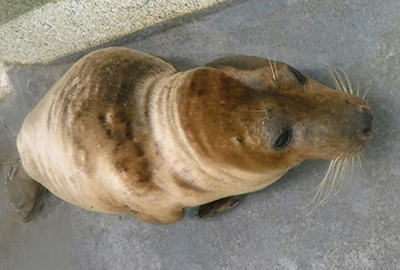 She was dehydrated, malnourished and was displaying signs of anaemia. When she first arrived at the Sanctuary she was suffering periods of not being able to digest her food properly and stomach problems. After an investigation by vet Paul Riley, it was found she had a condition similar to irritable bowel syndrome in humans. The vet found that steroids calmed her condition, and therefore the decision was made to provide Jinx a permanent home at the Sanctuary, as without treatment her condition would deteriorate and she would not be able to survive in the wild. 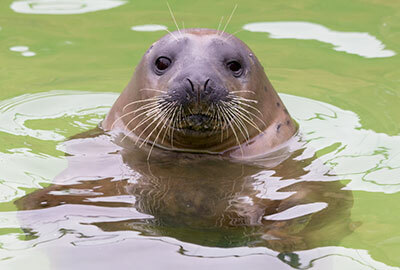 Jinx has been in the Convalescence Pool with the Sanctuaries rehabilitating pups and fellow resident adult grey seals. As Jinx could not start her training with pups around, she has been swimming after every fish and eating more than her fair share. In combination with her health condition, this has resulted in her weighing 85kgs; a healthy 2 year old pup should weigh around 65kgs. 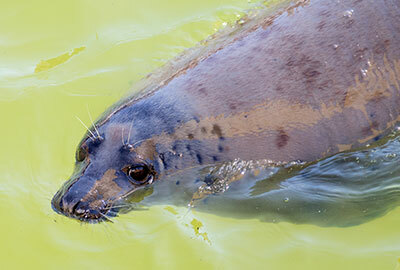 Natalie, Head of Enrichment, has a plan in place to help Jinx with her husbandry training and physical enrichment, to help manage her weight as like with humans, there are risks to her general health with carrying extra weight. Jinx´s first training session will take place at the Sanctuary on Wednesday 23rd May 2018 at 2pm.